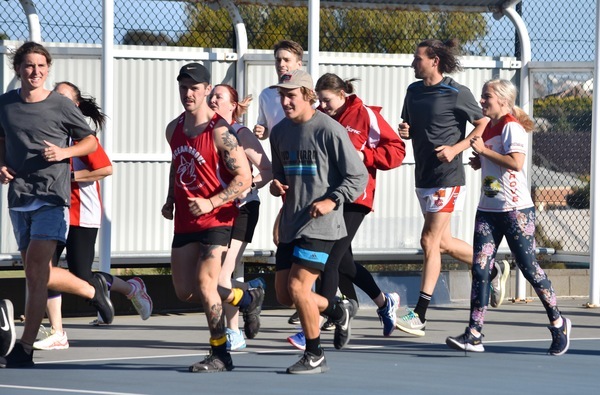 Ocean Grove Football Netball Club kicked off its pre-season preparations with a mixed netball session at the Shell Road netball courts on Thursday 29 November. Up to 50 participants from both football and netball clubs took part in a joint 90-minute twilight pre-season opener. Ocean Grove Netball Club senior coach Elyse Howard said the emphasis was on fun and building a good club culture. Three separate rotational mixed netball games were organised at the Shell Road netball courts. “It was just about playing games of mixed netball,” Howard told the Voice. “Just getting people together and the boys and girls talking and building those relationships and the culture within the club. Howard, who did not train, was glad to be back on her feet and is making a strong recovery after she suffered a broken leg in August. The netball coach had her moon boot and crutches removed and was unable to drive a car for several months. 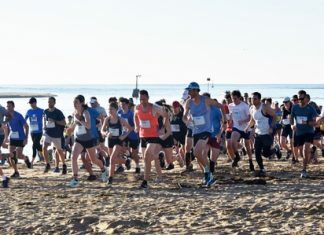 “I am getting there slowly, I am walking and sort of jogging, hopefully I will be running in three weeks – pretty much after Christmas I will be running,” she said. THE Grubber netballers will run four separate pre-season training sessions prior to Christmas from 7 December to 20 December. IN other netball off-season changes, Ocean Grove star defender and 2018 BFL netball league best-and-fairest winner Kelsey Ollis has joined GFNL club South Barwon for the 2019 season. 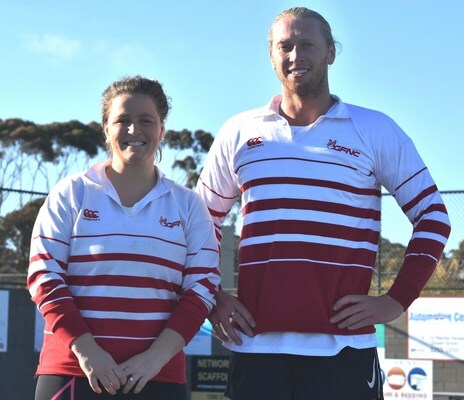 NEW Ocean Grove Football Club senior playing coach Jordan Jones said the mixed netball games was a good concept for all players. “It is a great idea and good for us all to bunch in together and be one footy club,” Jones said. Jones said the Grubber footballers will be running a series of pre-season skills sessions on Tuesdays at Ocean Grove Memorial Recreation Reserve and Oakdene Estate Oval on Thursdays in the lead up to Christmas. The Grubber football and netball players will hold a joint activity on Saturday 22 December before their Christmas and New year break.